Well, for all those who have got this question in mind I will try to help with my experience as I am into digital marketing. Since childhood we all have a dream to become an engineer, doctor, policeman, lawyer, etc. But many of us end up becoming something else than what we dreamed of;not to worry if you are happy with your career choice and keep growing in that. Search Engine Optimization was a new thing a few years ago; people did not know what it is and how it worked, but today due to development of technology and internet, SEO has become so popular that people are taking courses in that to build a career in the field of digital marketing. 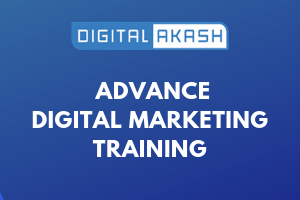 Again digital marketing is a vast ocean which includes Search Engine Optimization, Search Engine Marketing, Social Media Marketing and other things. There is no age limit to learn new things, SEO is more interesting. There are a lot of people who made a successful career in SEO. There are plenty of resources to learn which are available online and some of them are for FREE (Links given below the article). Earn money by working from anywhere. It’s a more demanding skill – On Page SEO, Technical SEO, Link Building and Competitor Analysis. There is thrill, excitement and lots to learn in day-to-day work. As digital marketing is growing by leaps and bounds, there are a lot of job opportunities. It does not require any qualification- just basic knowledge of the internet with English. As all businesses are growing online so it’s a demanding skill in the individuals that every company is looking for. Online presence of every company matters a lot in today’s scenario, so to have an online presence,the services of adigital marketer is a must. There are plenty of start-ups coming up each day, so again it leads to demand for SEO experts. You can choose a 9-5 job or work from home as a freelancer. You have an option. By working in this field you can always be updated in the industry and can stay ahead of time. SEO is a part of overall marketing strategy today and you can work with other marketing channels. If you’re good at SEO, you can get a job in any country. You can keep updating your knowledge online where you will find many related blogs. 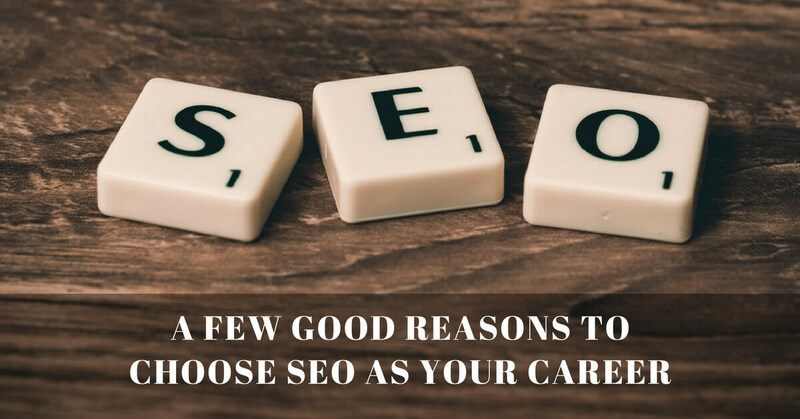 These are a few points which explain the benefits of choosing SEO as a career. So if you are a student who is interested in this or if you are a professional who is bored of the monotonous job you do daily and want a change in career, then you can always go ahead with this because there is no recession in this field. For example if you joined as an SEO Executive, then your next position is SEO Analyst (within a year). Also SEO is part of Digital Marketing Technology. SEO (FREE) is not very cost-effective as compared to paid marketing (SEM) but results are late compared to other digital marketing promotions. Every small business that doesn’t have a budget to go in for paid marketing will choose SEO Techniques to promote its business online. There are high possibilities that you can move from a SEO profile to Digital Marketing profile in future. The major role of SEO profile is that you have to bring your webpage into Google first page for specific targeted keywords using SEO Techniques like – On Page, Off Page and Technical SEO. Once you gain confidence after working with a few projects you can try Freelance projects. You can find a lot of SEO Freelance project work from Fiverr, Upwork and Freelancer. Local SEO:Local SEO is meant for only targeting specific city or area (Bengaluru, Mumbai, etc. )A good example for local SEO is running a restaurant in a specific location. Most local SEO projects come with physical location and it costs less compared to national SEO. Note: SEO is a never ending job. If you think you’re in the top position your competitor may acquire that place. Nowadays a Web Designer /Developer also wants to learn SEO as they want to optimise their websiteon search engine. Having knowledge of Google Analytics and Google Search console is more advantageous to your profile and by using these two tools you can identify your website’s Ups and Downs.